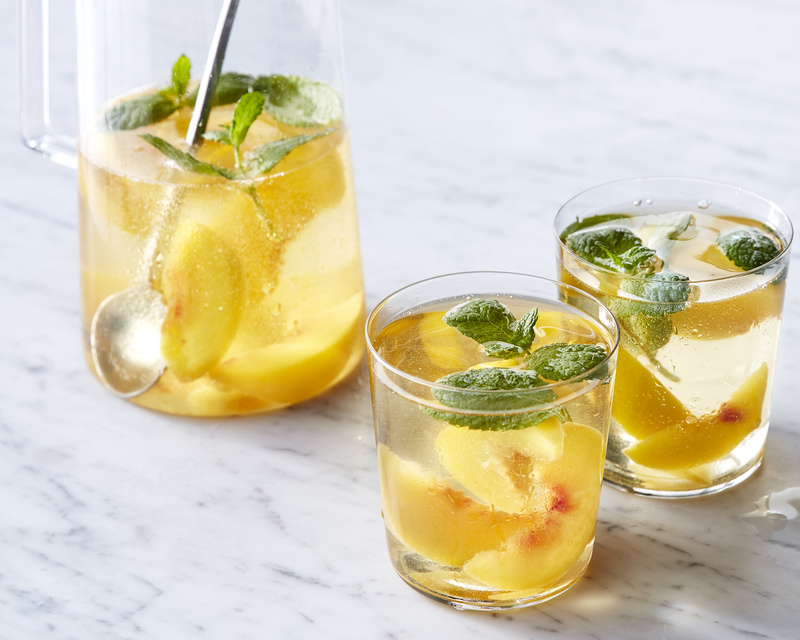 In a large pitcher or small punch bowl, combine Riesling, peaches, peach schnapps, and mint sprigs. Cover and chill until cold, at least 2 hours. Pour in sparkling wine, stir gently, and serve immediately in chilled white-wine glasses. Bar snack: Marcona or other toasted almonds.